I won a case of Tyrrells crisps over on the Tyrrells Crisps page on Facebook on 7th August 2012. I received them on 21st August 2012. I bet you're all jealous now!! I hadn't tried some of these flavours before, but it's official, they're delicious! 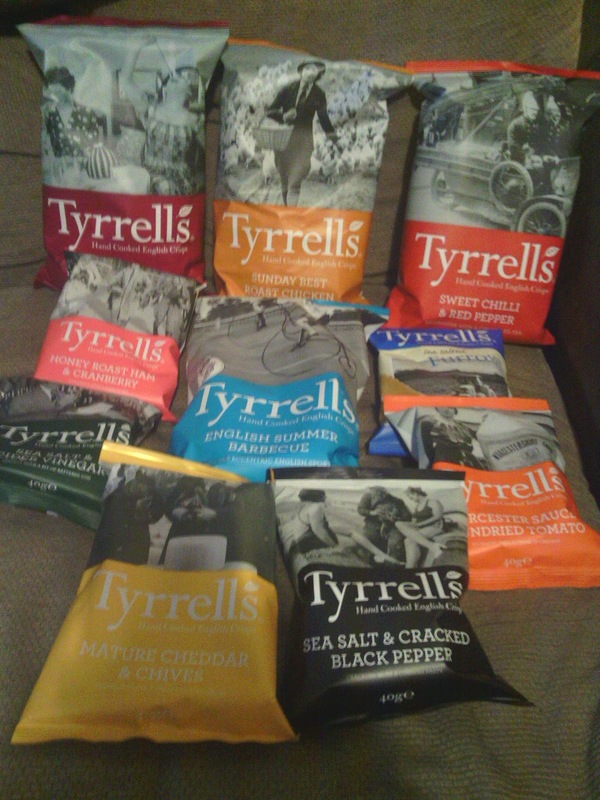 Just as I expected from Tyrrells! Lucky You. Quite a haul !